Custom tailor made car cover for the VW Type 25 from 1979-1991. 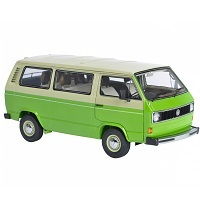 This will fit standard roof models and also vans with the low pop top like the Westfalia and Devon etc. This cover comes in its own handy case and fully tailor made including door mirror pockets. When you have decided on the cover you need, simply change the boxes below to the correct type of car cover for your T25. PLEASE NOTE THAT THESE ARE A FULLY TAILOR MADE CAR COVER TO FIT YOUR T25 PERFECTLY. THESE ARE ALSO A SPECIAL ORDER COVER AND WILL TAKE APPROX 2-3 WEEKS TO BE MADE TO ORDER AND DELIVERED TO YOU. WE CANNOT GET THEM MADE ANY QUICKER SO PLEASE ENSURE THAT YOU ARE AWARE OF THIS FACT BEFORE ORDERING.